Children in Distress is a small charity based in the United Kingdom, established by Deed of Trust in 1990 and registered with the Charity Commission of England and Wales initially as Romanian Children’s Aid. In 1992, it was decided to extend the work of the charity throughout the Balkans and Eastern Europe and the charity was re-registered as Children in Distress. In 2005, Children in Distress became a not-for-profit limited charitable company. Children in Distress has inspired a number of sister charities, that since 2015 are now part of the Children in Distress Charity Alliance. The work of Children in Distress was initiated by our founding Director Reverend Dr John Walmsley and the parishioners of St. Laurence Barkingside. Initially to address the plight of the children and orphans with HIV AIDS or that of infants and children abandoned in Romania’s rundown hospitals. Those in institutions as result of terminal or incurable illness as result of accident, infection, genetic disorders or accident at birth. Today over a quarter of a century later, the charity still cares for children of all races and religions. It is very important that our work cross all ethnic and religious boundaries in order to achieve our aim: to cure, sometimes; to help, often; to comfort, always. Our Vision is to create a better today for children who may have no tomorrow. Our Purpose, in concert with our operating partners and sister charities in South Eastern Europe, Copii in Dificultate, PositvPlus+ & Ajutor, Speranţă şi Hospice, is to deliver paediatric palliative, respite and end of life care, and to provide educational opportunities, social welfare and training where and when required, To cure, sometimes; To help, often; To comfort always. 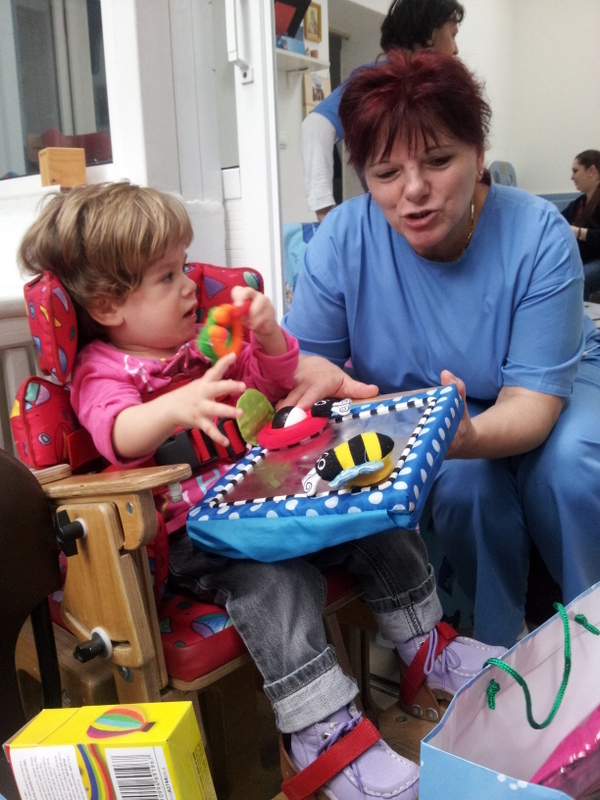 Our Aim is to deliver the best possible care to children who are terminally or incurably ill, living with genetic or developmental delay, disorders or handicap, offering education and opportunity to those simply disadvantaged by family economics or discrimination in the community. Through training and practical example to effect attitudinal and practical changes in medical care, social welfare and policy in Romania, and The Republic of Moldova. Our Structure Children in Distress has a UK base in Glasgow and a trading arm, which runs three charity shops in the North of England. This is underpinned by a vibrant and enterprising volunteer and donor network. We also support other hospice and palliative care organisations in Central and Eastern Europe through the provision of advocacy, technical support, training and funding. We also work with our Romanian and Eastern European partners and staff to share expertise, develop their skills in paediatric palliative medical and nursing care, and to establish centres of excellence in care, which are beacons and models for other centres and programmes. We also work through and with our sister and partner organisations in Romania & Moldova. Our ongoing objective is to empower these organisations to self-sufficiency as soon as practicable. We advocate and strive for the basic human rights of children in Eastern Europe. We care for as many children as possible and offer them when needed a safe, secure and caring home. We work with local and national authorities and partner organisations throughout Eastern Europe to achieve our aims. All we do is funded through grants aid and donations from the general public in both cash and in kind. We receive donations via regular giving and child sponsorship schemes and maximise the benefit of the Inland Revenue’s Gift Aid scheme.